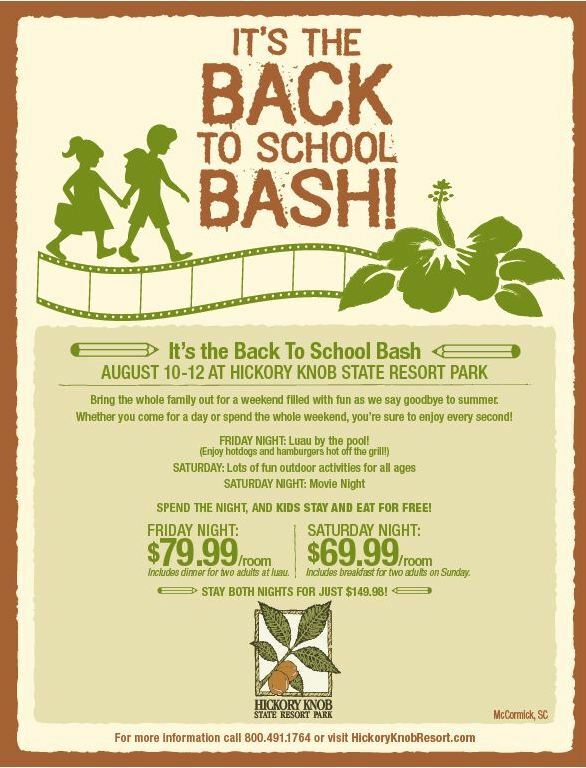 One last FAMILY FUN Event before the school years gets into full swing! If you can’t come for the entire weekend, pick your night to stay! Super Summer Savings on Hickory Knob Lodging! And be sure to mention code SUMMER12 for special summer rate.